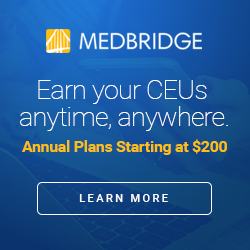 Click the image link below to use our MedBridge Promo Code for a discounted annual membership with unlimited CEUs! Medbridge is a wonderful site full of valuable CEU courses taught by some of the leading experts in the allied health professions. We have gotten a lot of value out of our memberships with them for meeting CEU requirements (even live courses offered through webinars) and learning new information over the years. This is especially valuable for travel therapists who may have a difficult time finding interesting in person courses in their assignment location. We are happy to offer a Medbridge promo code with a significant discount to readers of the blog. 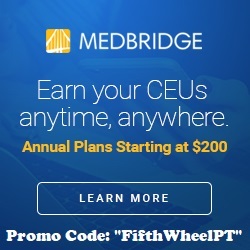 Use our promo code “Fifthwheelpt” to get an annual MedBridge subscription starting at $200 (over 40% off regular price)! 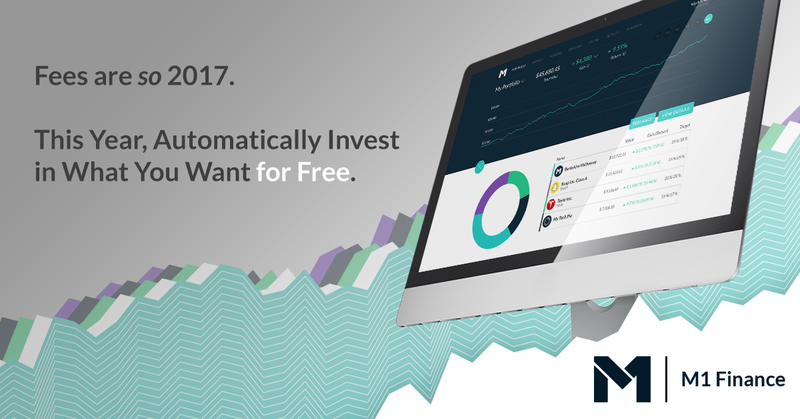 Gain access to over 700 online courses, compliance training, certification prep programs and so much more!